Ah, the comfiness! 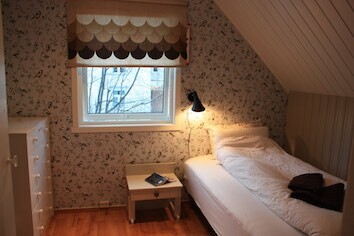 Even if you have to walk up the stairs to access this room, of all the double rooms in the Writer's home this is probably the most comfortable. Why? 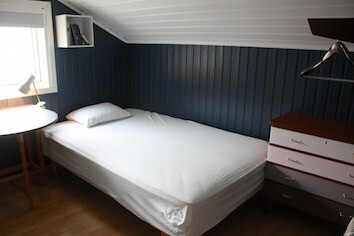 Well for starters it's the biggest of them all - in addition to the super-duper comfy double bed there is room enough also for an extra bed, or a baby bed, or just some extra space. 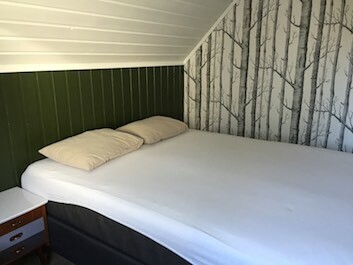 Sleeping here is like taking a rest a peaceful Nordic forest - the amazing wallpaper "Woods" from Cole & Son matches the moss green walls perfectly and will have you dream about magical fairies and soft grass under your feet on a summer's day. 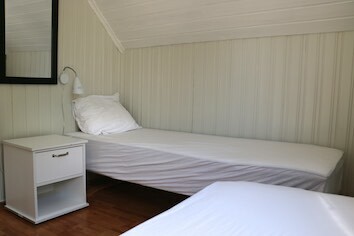 The room is located next to the upstairs bathroom, so you don't have to go far for your morning shower. 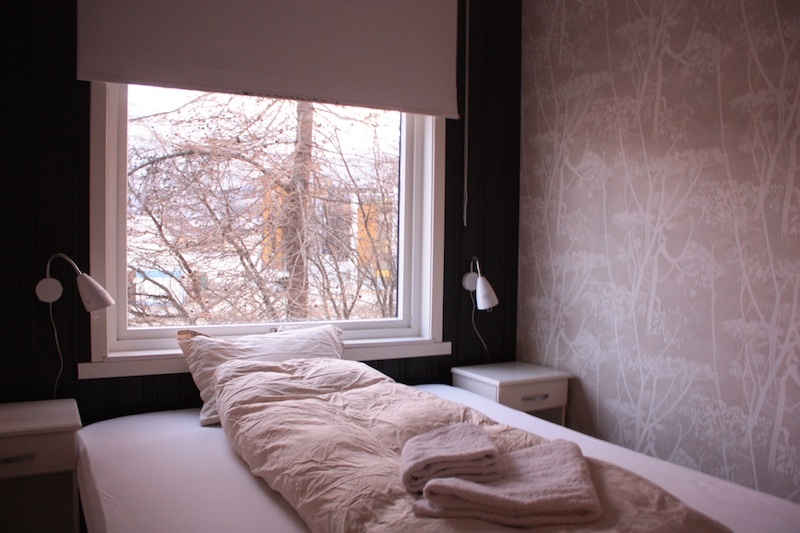 The walls are sound-proofed wall as of 2013 so no need to worry about your room mates getting up earlier than you. There are bedside tables and a closet. Extra bed possible on request. 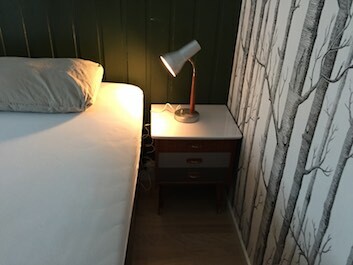 Our smallest but definitely cutest double room - by default a twin room with two separate beds, but if you ask us in advance we can put the two beds together to make a 150 cm wide double bed instead. 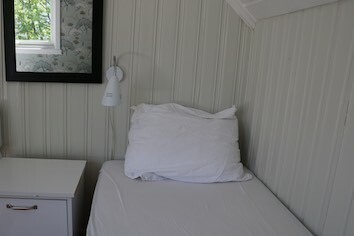 There are bedside tables, a small desk and a big closet, and a view over the garden from the window. The desk is a real second-hand gem - originally from the high school "Kongsbakken" in town, someone has inscribed "JAN ERIK VOLD" on the front. There someone sat, days and weeks, bored or not, a fall or a spring, in one year or another, and with a sharp something, probably a pair of compasses, engraved the name of the greatest Norwegian poet of a hundred years. 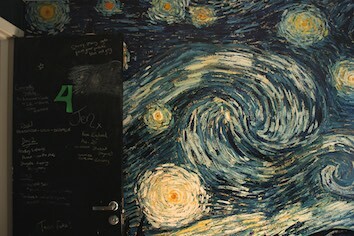 Like a tribute to what poetry can teach us where school falls short. And now, years later, the desk and the inscription lives on in our Writer's home, as does several of Jan Erik Vold's books. 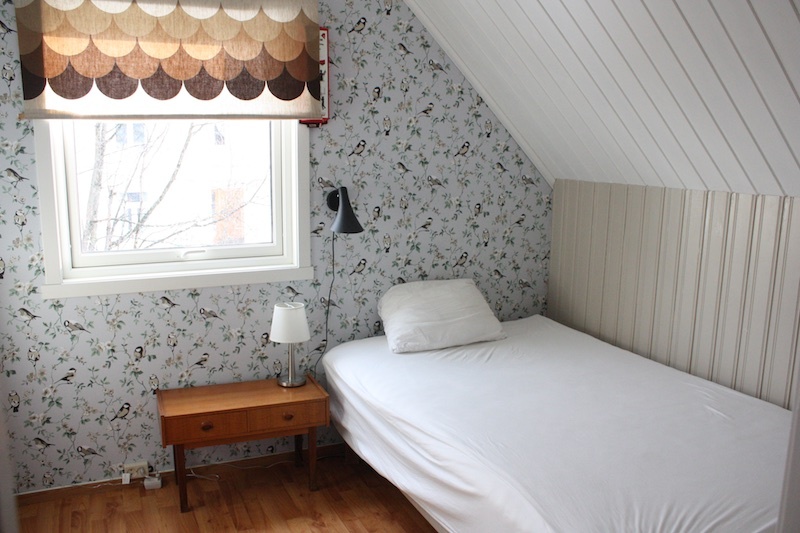 Also, the interior design somehow always makes us think of Tove Jansson's incredible children's books about Moomin, although the fantastic wallpaper from Clarke & Clarke really has nothing to do with it. 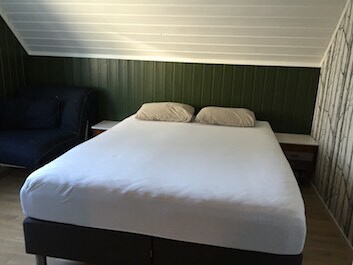 Oh and our big, lovely, super comfy sofa lives right outside the room door so the size of the room shouldn't really limit your possibilities for relaxation and breathing space. 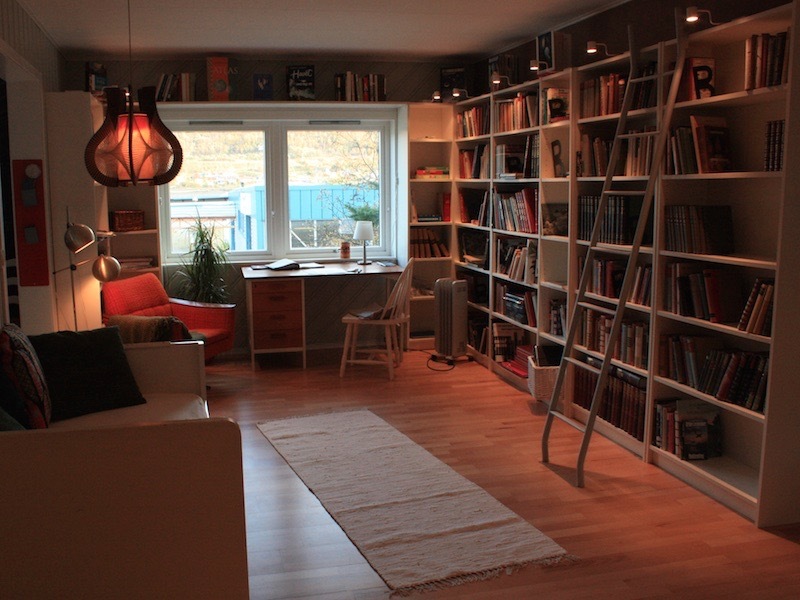 If "lovely" have a real life interior design-definition, this room must be it. 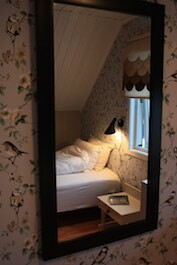 It's hands down the cutest room we ever designed, and the sweet birds that adorn the walls are the same that will peacefully awake you in the morning out in the garden. 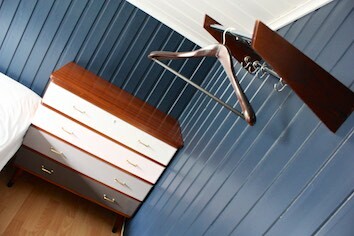 There's also a cool bedside table, a chair, a drawer and a big closet in the room. 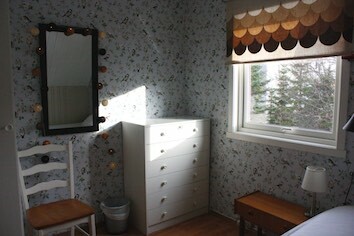 Wallpaper from BoråsTapeter and a vintage curtain that came with the house. 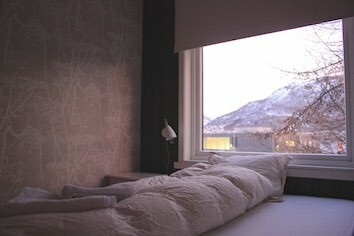 ...and tell us if you'd like to stay in here? 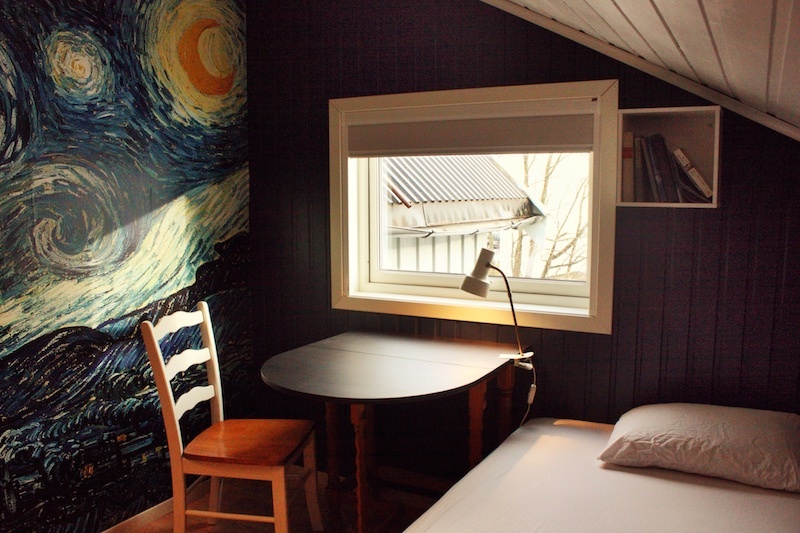 This lovely single room is a tribute to the amazing Vincent van Gogh. 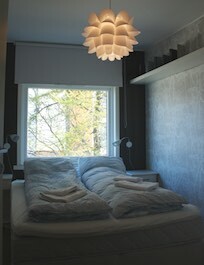 Never mind the weather or the season outside, in this room your nights will always be starry and full of colors. 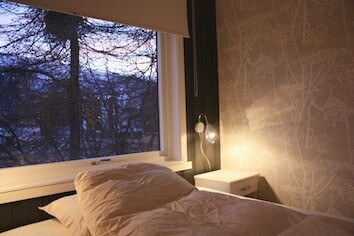 Located on the top floor next to the stairway, the room faces the quiet garden and comes with a light-proof curtain. There's also a desk, a chair, a drawer and some hangers. 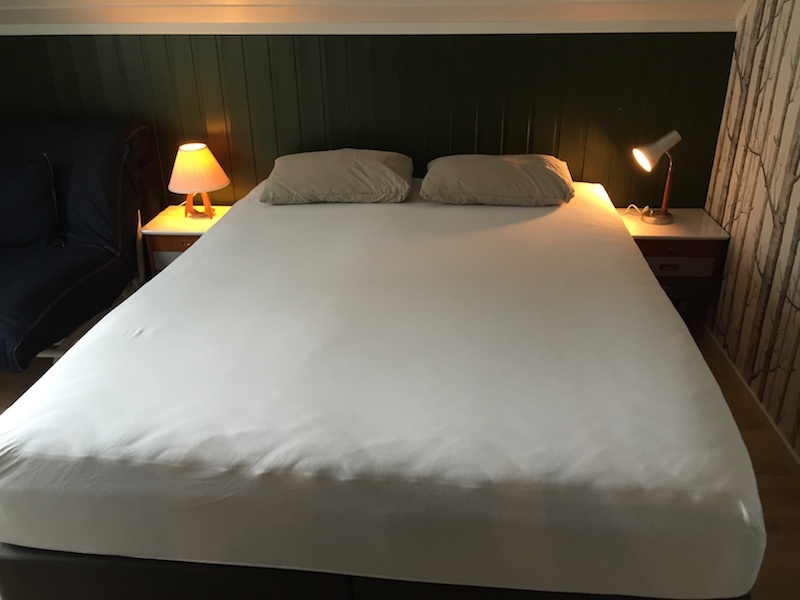 No room for extra separate bed, but if you travel with someone you love you're welcome to share the comfy 120 cm wide bed. 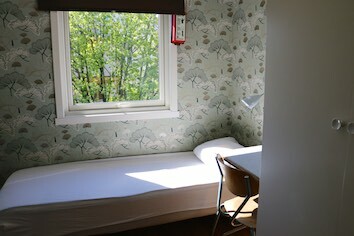 Conveniently located on the ground floor next to the library, this room is a little bit like a summery meadow - airy and worry-free. 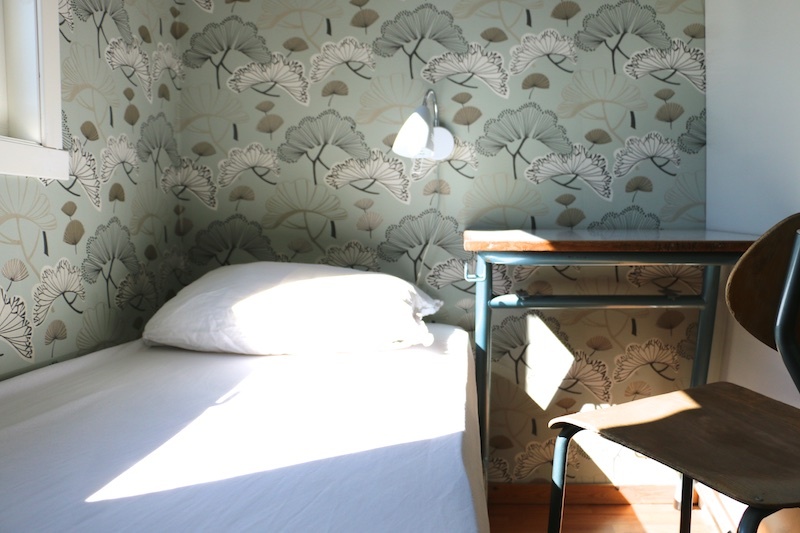 A small but cosy bedroom with bedside tables, a closet and beautiful heracleum wallpaper - "Cow Parsley" by Cole & Son.